Sundays are the one day our kids’ club is closed and my son can’t go play with his friends while I get a gym training session in. I often try to do some sort of other cardio exercise when we can’t go: lately, I h ave been hitting the trails a lot! Today, I picked a new hike for me that has a kid park at the access point also for my son. After playing on the structures for a few minutes, we headed out on our climb. 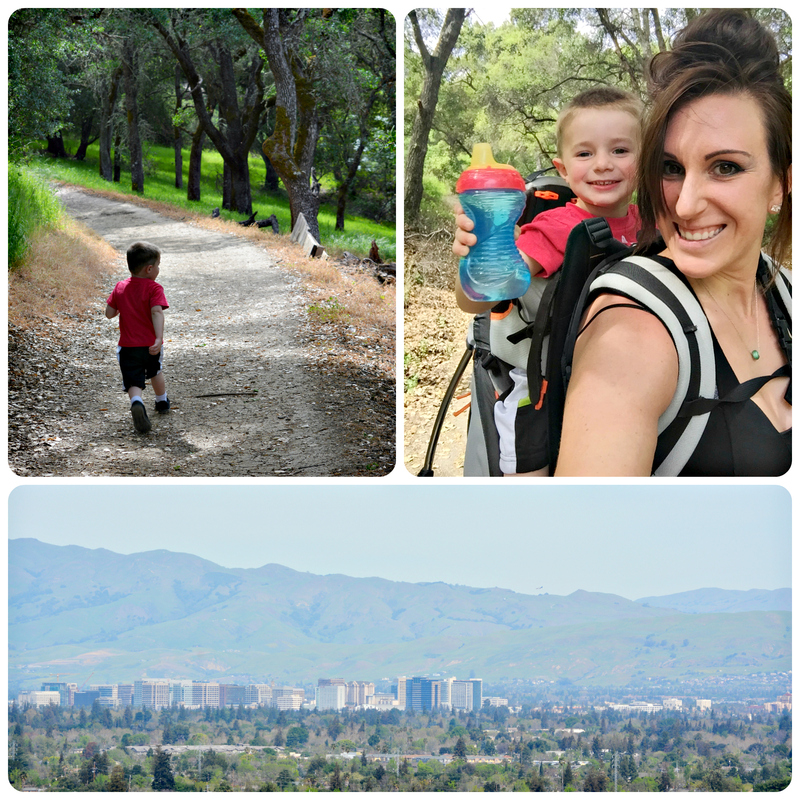 It was a big mountainside, but we were rewarded with sweeping views of the Silicon Valley when we made it to the top. Carrying my 2 year old on my back is becoming quite the workout since he is nearly 30 lbs.! We didn’t see any deer or other wildlife today, but there was a whole tree full of these Acorn Woodpeckers busy stowing their acorns inside the holes they drilled out.